Worldwide, infectious diarrhea is responsible for approximately 20% of all mortality in children under the age of five, or an estimated 1 million deaths annually. In addition to directly causing illness and death, diarrhea contributes to mortality from other causes in children, including malnutrition and malaria, as well as seriously impacting lifelong cognitive abilities. In the United States, although the overall infectious diarrhea mortality rate is lower, the disease nevertheless has an annual incidence of over 375 million cases in pediatric and adult populations, and is responsible for approximately 900,000 hospitalizations and 6,000 deaths per year. The World Health Organization’s “Global Burden of Disease Report” identifies childhood diarrhea as the third most destructive disease or injury in the world, with many insidious consequences. The after-effects for surviving children and their communities – dehydration, malnutrition, susceptibility to other diseases, impaired growth and cognitive function – are devastating. Mother’s milk provides the most effective protection against childhood diarrhea. While infectious diarrhea strikes children of all ages, its most destructive impact in children occurs within the first few months after weaning, when infants cease to receive the protective factors found in mother’s milk and face unprotected exposure to a wide range of water and food-borne pathogens. One study in South India, showed the highest incidence of diarrhea occurred in children of ages six to eleven months, the typical weaning age in that population. Similar results are reported from Argentina, Mexico and Bangladesh. The combination of loss of mother’s milk protection and exposure to local pathogens is too often fatal, yet these fatalities and the longer-term detrimental impact of these diseases on survivors can, we believe, be reduced or prevented. GHI is planning commercial distribution partnerships worldwide for Glycosyn LLC’s hMOS products, and seeks partners and support to carry its mission forward to millions of children and adults around the world. Acute Respiratory Infections (ARI) are one of the most common causes of death in children ages 0 to 5, causing over 1.5 million fatalities per year. The peak incidence of severe Respiratory Syncytial Virus (RSV) disease is at age 2 to 8 months. Overall, 4 to 5 million children younger than 4 years old acquire an RSV infection annually, resulting in more than 125,000 children hospitalized each year in the United States. Virtually all children have had at least 1 RSV infection by the age of 3 years. Every year, pneumonia causes the death of over 100,000 infants less than one year of age, which is an average of 300 deaths every day. In the developing world, it is estimated that one child in three develops clinical pneumonia each year. Necrotizing Enterocolitis (NEC) is a major cause of illness and death for low birth-weight babies in the US and around the world. 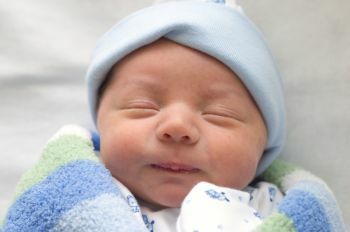 It is the most common gastrointestinal medical/surgical emergency in newborns, occurring in 7% to 13% of very low birth-weight infants, and involves bowel injury and intestinal necrosis. Mortality rates in term infants with NEC range from 20% to 40%, and may exceed 50% for premature infants. Surgery is required in about 30% of the cases, with surgery-associated mortality as high as 50%. Overall, about 25,000 US babies per year develop NEC, and at least 20% die from this illness. Glycosyn and partners are developing and testing therapies for NEC. At least 4 million people (including one million Americans, 23,000 Australians, and 250,000 Canadians) worldwide suffer from some form of IBD, including Crohn’s disease and Ulcerative Colitis. Currently there are no proven methods for predicting flares or for treating IBD. Loss of appetite and subsequent weight loss are common, as is fatigue. In cases of severe bleeding, anemia may also occur. In addition, there may be skin lesions, joint pain, eye inflammation, and liver disorders. Children may fail to develop or grow properly. Glycosyn and partners are conducting experiments to determine the impact of hMOS in preclinical models of IBD, with promising initial results. Currently more than 50,000,000 people, endangered by violence, have been forced to flee their homes for safer locations inside and outside their own countries, the largest refugee population since the bloody aftermath of World War II. Although the data is scanty, over half of these are children below the age of 16; less than half are actually in refugee camps, with the majority finding temporary safety in already overburdened poor towns and villages. By far the largest percentage of these refugees are in Pakistan, already struggling with its own increasing internal violence, and Iran, with increasing numbers through the Middle East as a result of the continuing violence in Syria (9,000,000 internal and external refugees, and increasing). Refugees frequently lack access to clean water and sanitation facilities, and as a result infectious diseases are widespread. Glycosyn’s hMOS, distributed to those most at risk by GHI, can have a significant impact on the most common, and fatal, of these diseases, including the most common causes of child diarrhea and respiratory diseases, and cholera. GHI anticipates working closely with the major refugee organizations, including the United Nations High Commissioner on Refugees (UNHCR), the International Rescue Committee (IRC), Refugees International, CARE, Oxfam, Doctors Without Borders, the US Committee on Refugees, and other public and private refugee service organizations. There are approximately 400 natural disasters each year, including floods, earthquakes, volcanoes, major fires, and many more. From 2002-2011, an average of 107,000 people were killed by natural disasters each year, and 268,000,000 were victims. Economic damage annually from natural disasters averages $160 billion. There are a number of disaster relief organizations, including the Red Cross, CARE, Oxfam, Doctors Without Borders, and many more religion-based programs. GHI will work with the major organizations to include our hMOS supplements in their disaster relief programs, in order to reduce the impact of post-disaster infectious diseases on the most vulnerable babies and children.